Everyone except EVGA is on the Z370 mini-ITX bandwagon, and we'll hopefully be looking at examples from most manufacturers over the coming weeks. 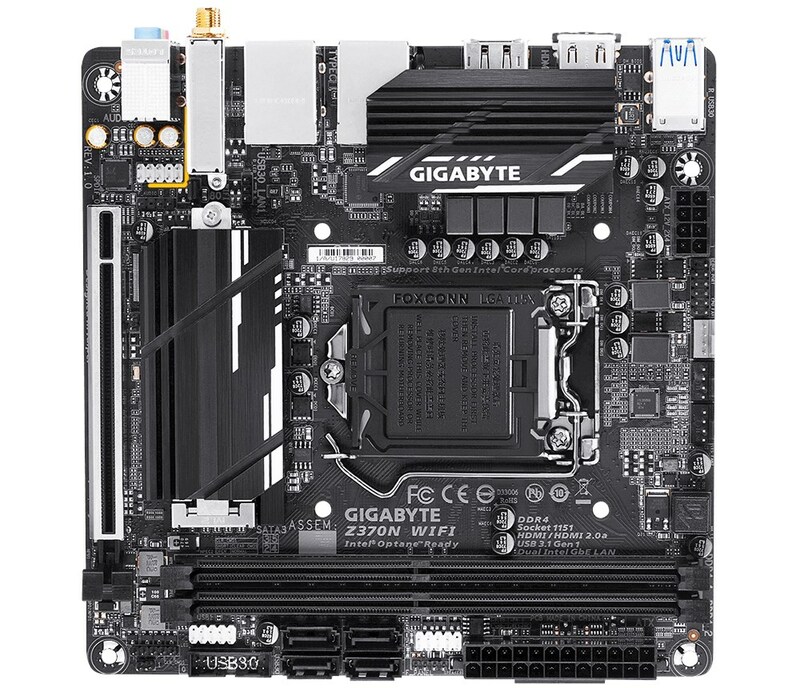 Today, though, first out of the blocks is Gigabyte with its Z370N-WiFi. 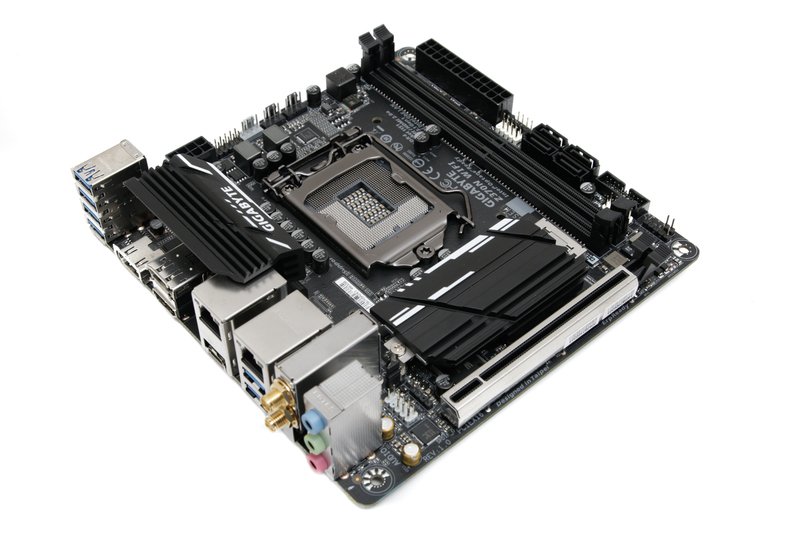 Last time around Gigabyte had two offerings in the Z270 mini-ITX market: the reasonable but somewhat limited Z270N-WiFi and the superb Z270N-Gaming 5, which was one of our favourite Z270 boards. The Z370N-WiFi sits between the two in terms of price at £160 compared to £173 for the Gaming 5 and around £130 for the Z370N-WiFi, but thankfully it deserves to cost a little extra. There are several additional features that warrant the price hike but also mean that a successor to the awesome Gaming 5 is perhaps a little unlikely too. Thankfully, those features mean that while in name we're looking at a successor to the Z270N-WiFi, the Z370N-WiFi is much more capable. There's an extra power phase compared to the previous board, and the latter also lacked any form of heatsink for the power circuitry too. The new board sports a modest heatsink, so we'd feel far more comfortable about recommending a long-term overclock this time. 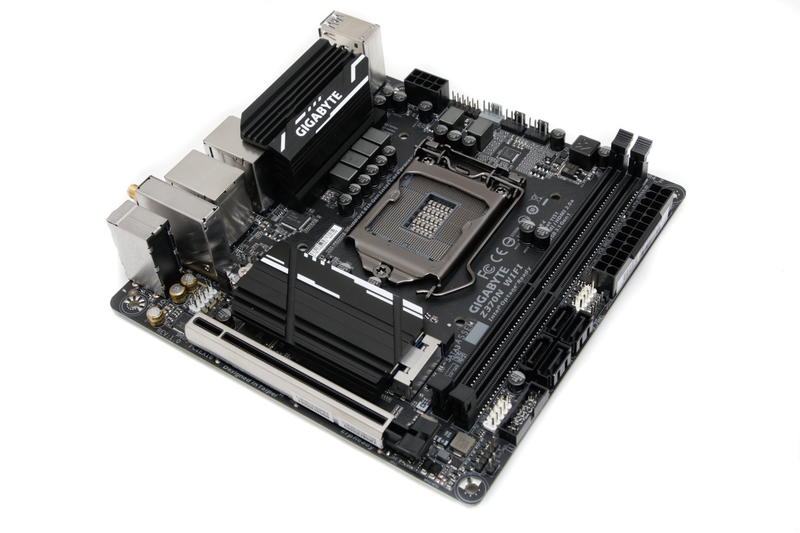 Surprisingly, the board sports not just one M.2 port like its predecessor but two, with one also offering a large M.2 heatsink, which even MSI's Z370 mini-ITX effort lacks. 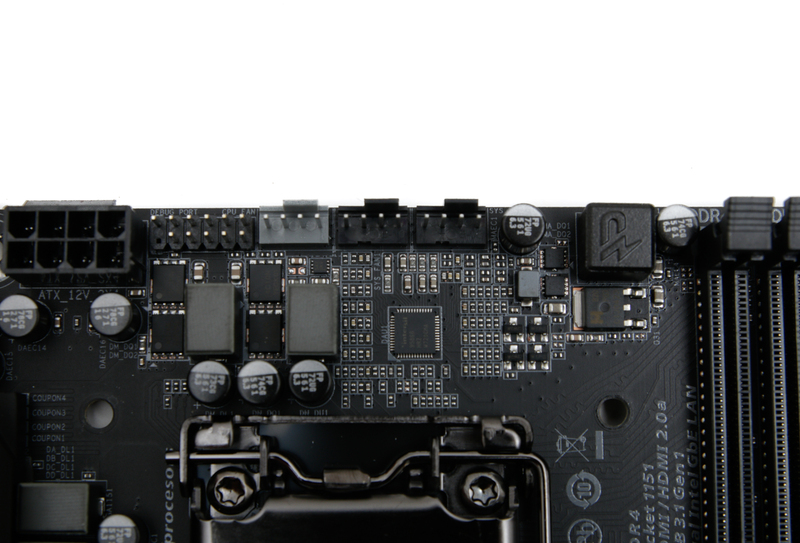 In fact, the latter only has one M.2 port whereas Gigabyte has managed to squeeze in one heatsink-equipped port on the top side and second on the rear of the PCB. Sadly, only the top slot supports either SATA or PCIe M.2 SSDs; if you want to ditch all cabled drives to make your space-limited mini-ITX case as cable-free as possible and use a PCIe SSD for your OS and a SATA M.2 SSD for a bit more storage, then the latter will have to sit under the heatsink while the toasty PCIe SSD will have to do without round the back. Gigabyte's manual is a bit sketchy in this regard, but our own testing with a SATA M.2 drive confirms the online specifications that the rear slot does not support SATA M.2 SSDs. 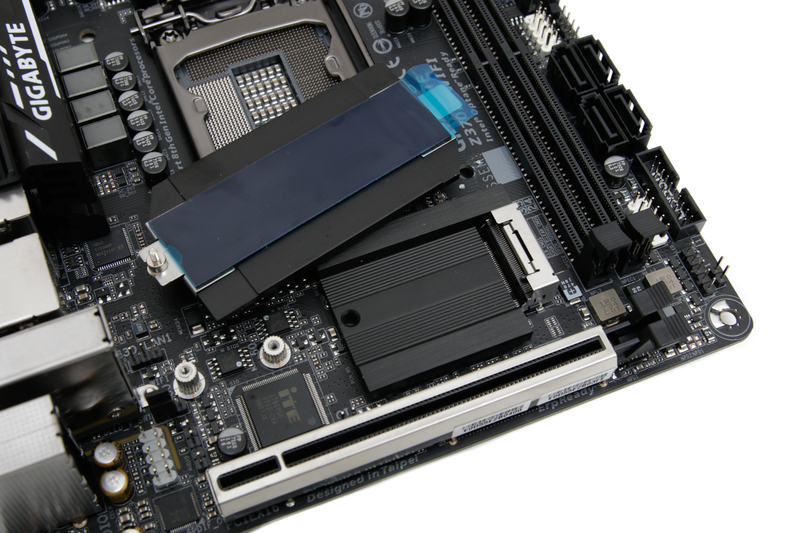 It's not the first mini-ITX board to use this configuration, and we'd like to see all mini-ITX boards that use a rear-mounted slot to make it compatible with both types of M.2 SSD for reasons we've outlined above. As well as the improvements we've already mentioned, you also get an additional fan header bringing the total to three, although there is one step backwards between the two generations, which is two fewer SATA ports, falling from six to four to make way for the top-mounted M.2 port heatsink - definitely a good move in our books. The board also offers USB 2.0 and USB 3.0 headers, and both of these are handily located at the edge of the PCB, which is more than can be said for its predecessor. Lighting is fairly subdued with just a small section of LEDs under the audio circuitry, but you do get one of Gigabyte's five-pin RGBW digital strip headers to play with. The rear panel offers a decent amount of ports, including an outlet for the onboard 802.11ac Wi-Fi. You also get dual Intel Gigabyte LAN ports and six USB 3.0 ports. The is a Type-C port as well, but it's worth noting that this isn't true USB 3.1-powered and is in fact only able to adhere to the USB 3.0 specification. While there's obviously a 16x PCIe slot on the PCB, Gigabyte is clearly aiming at those that will be happy with Intel's integrated graphics and provides two HDMI outputs and a single DisplayPort. There are only three mini jacks, though, and no optical output, so if you want to go all-out with a 7.1-channel speaker system, Gigabyte suggests using an HD front panel along with the onboard header and enabling the multi-channel audio feature through the audio driver. 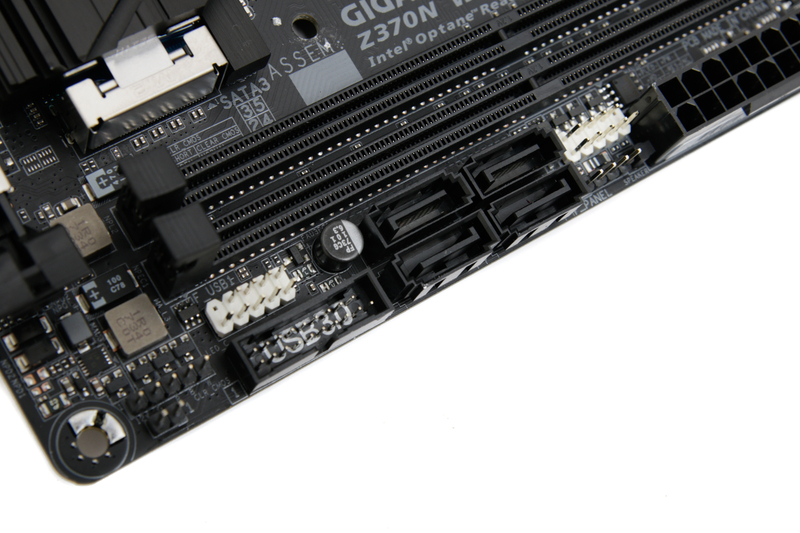 There's an interesting addition to specification too in that the PCIe 16x slot supports bifurcation out of the box, meaning you can use a two-way x8 riser card to power two devices. With the difference between 16 PCIe lanes and eight often being small, especially with mid and low-end cards, this has been used not only to power two graphics cards but more successfully to power both a graphics card and something like a sound card.